It was a warm desert day when I stepped into the Garden of Gethsemane that morning eight years ago. The sun fell in slants over the ancient stone wall, illuminating the centuries-old olive trees. So this is where He prayed, I thought. This is where Jesus sweat blood as He contemplated the unfathomable suffering of the cross. I found a secluded spot in the Garden that morning and fell to my knees. I poured out the shattered heart of a fresh divorce and the fear of becoming lost in the random shuffle of life. This was the intimate place of further still. The place where God met me alone amidst my greatest sorrow to began the healing process. Then our group then went to Calvary where we received communion … looking straight at the empty tomb. Words simply cannot describe that moment. That is why I want to share the experience with you! 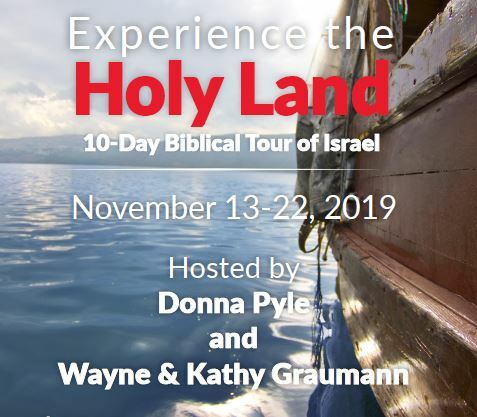 Pastor Wayne Graumann and his lovely wife, Kathy, have joyfully partnered with me to offer a 10-day Biblical tour of the Holy Land. Wayne baptized me 27 years ago and holds a very special place in my heart. He and I will tag-team teach at various sites on our journey, which include: Nazareth, Cana, a boat ride on the Sea of Galilee, Caesarea, Megiddo, Mt. Carmel, Mt. of Beatitudes, Capernaum, Bethsaida, Jaffa, the Jordan River, Caesarea Philippi, Jerusalem, the Mt. 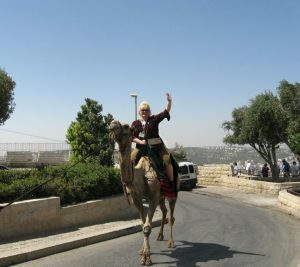 of Olives, Palm Sunday Road, Garden of Gethsemane, Western Wall, Via Dolorosa, Bethlehem, Qumran, a float on the Dead Sea, Jericho, Hezekiah’s Tunnel, Pool of Siloam, and the Garden Tomb (Calvary). 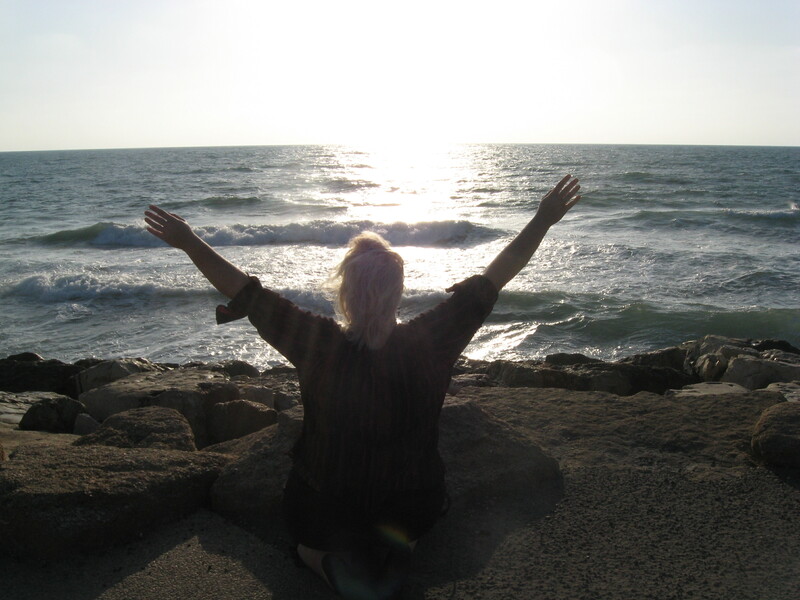 Imagine Tours & Travel has led tours to Israel for over 20 years with excellence. Your 10-day tour price includes: round trip airfare, deluxe motor coaches, first class hotels, guided sightseeing, entrance fees to sites visited, breakfast and dinner daily, all taxes and fuel charges, and all gratuities. We welcome all adults who desire to walk where Jesus walked: men, women, couples and singles. We know it takes time to plan, stockpile vacation time, and save funds, so we are letting you know 16 months in advance of our departure! I pray that you will join us on this life-changing adventure! If you have any questions whatsoever, please reach out to me directly at dpyle@artesianministries.org. Riding a camel on the Mount of Olives!